It’s been a while since we’ve had brunch together, friends. 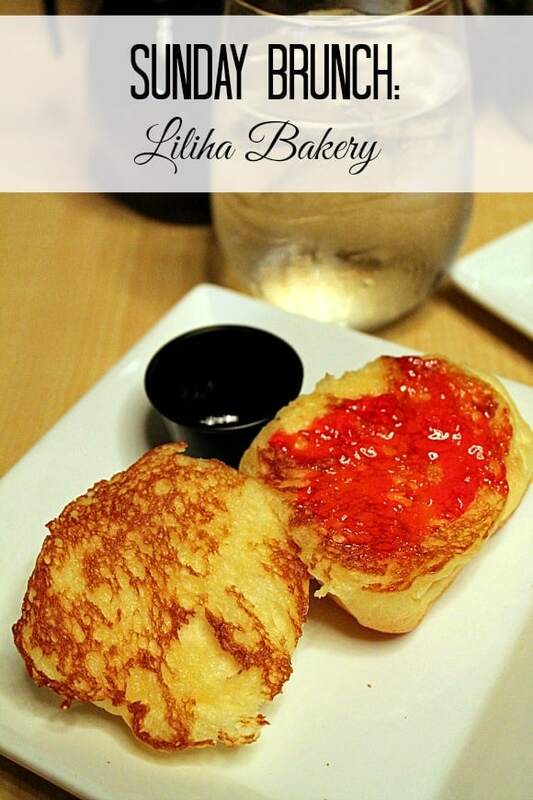 It’s time for a truly comforting diner-style breakfast at Liliha Bakery. Based on the awesome huge black and white photos adorning the wall in their new Nimitz location, Liliha Bakery has been around for a long time. They’re famous for their coco puffs which we may discuss at another time, but their coffee shop is equally awesome. The choices are simple, you could say fundamental, but everything is cooked perfectly meaning no matter what you choose, you’ll be happy. I got pancakes and a side of bacon today. 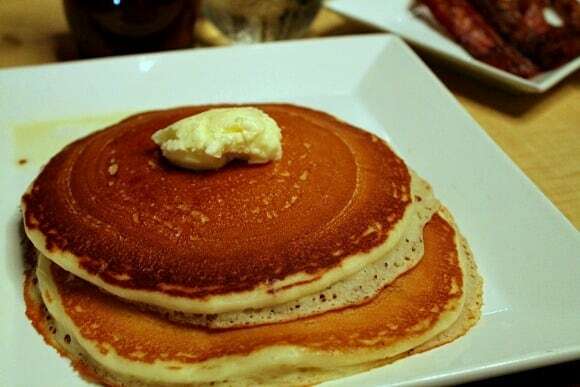 The pancakes are fluffy and tender and come with an outrageous amount of butter. You get your own jar of syrup at the table, so you can have as much as your heart desires. And the bacon is perfectly crisp. 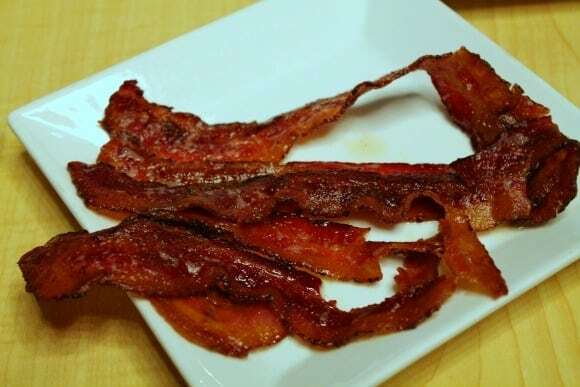 Like maybe the best bacon I’ve ever eaten. I’ve also tried the waffles and French toast, and they’re pretty great, too. Geoff gets the two egg combo, this time with pork sausage and fried potatoes. 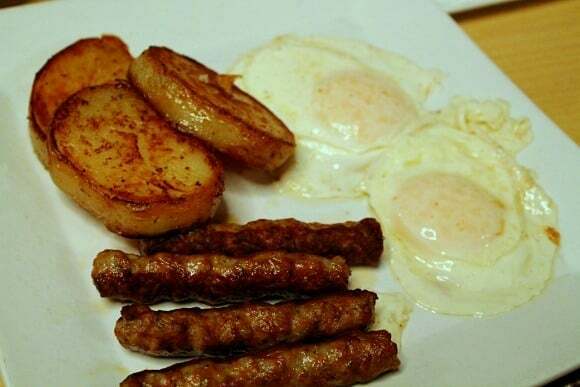 The sausage has great flavor, and the fried potatoes have a crispy crust. The eggs are perfectly cooked as well. The one thing you absolutely cannot skip at Liliha Bakery is the butter roll. It couldn’t hurt to order an extra. 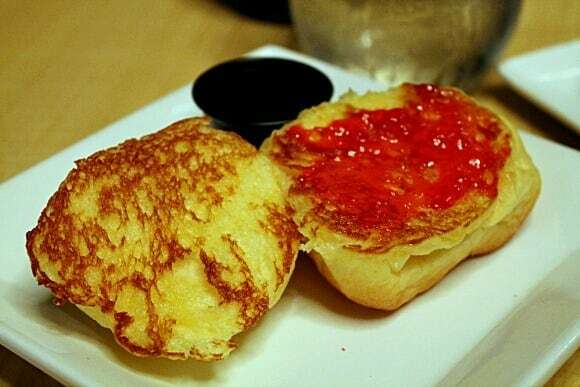 They split them in half and toast the cut side on the griddle, and they’re served with an electric pink jelly. Your fingers will be greasy, but your mouth will be very very happy. The Nimitz location is quite large, if a bit dark. There’s often a line, even with all that seating, but service is quick. We had a table today, but I actually prefer to sit at the counter so I can watch the cooks at work. They’re quite skilled. Both locations are a somewhat off the beaten path, but it’s definitely worth the trip. It’s the best diner breakfast on the island.